You can show up in your Halloween-costume if you like to deliver your application - but be there before the end of 31th of October. The engine has started. The fifth batch of ITSA is ready to accelerate. 10 companies will be chosen to follow the race from 15th of November together with Gry Isabel Sannes and Sean Paul Shanor. It can be you. 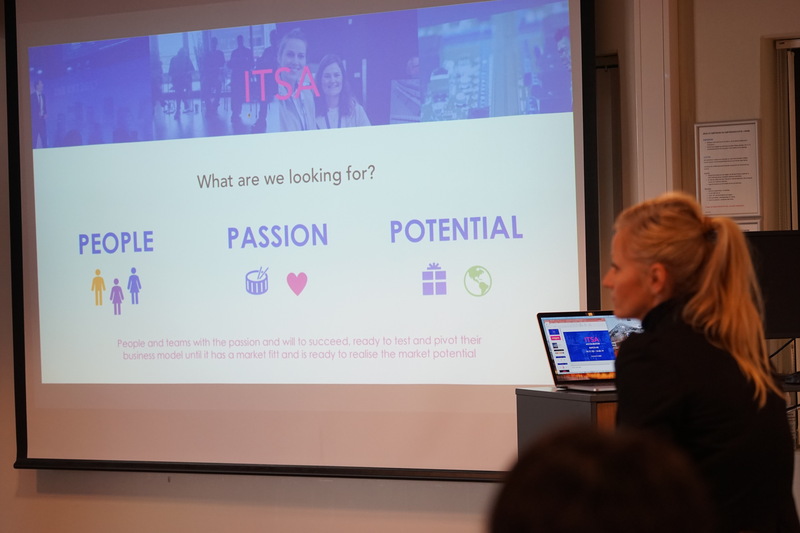 The door of ITSA it´s now open for people with a dream and a passion to start new businesses. 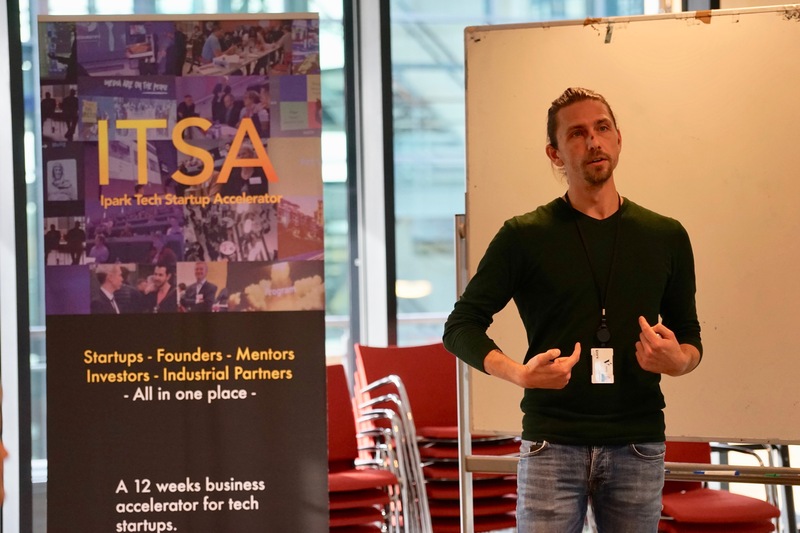 -We started the ITSA-program back in 2016, and this is the fifth time we are launching. Every time we have done something different in the program, but this time we have done a real makeover, says Gry Isabel Sannes. There are brand new things in the program, but something has not changed. The speed and intensity are absolutely the same. It´s 12 weeks of intensive business development program for tech startups. 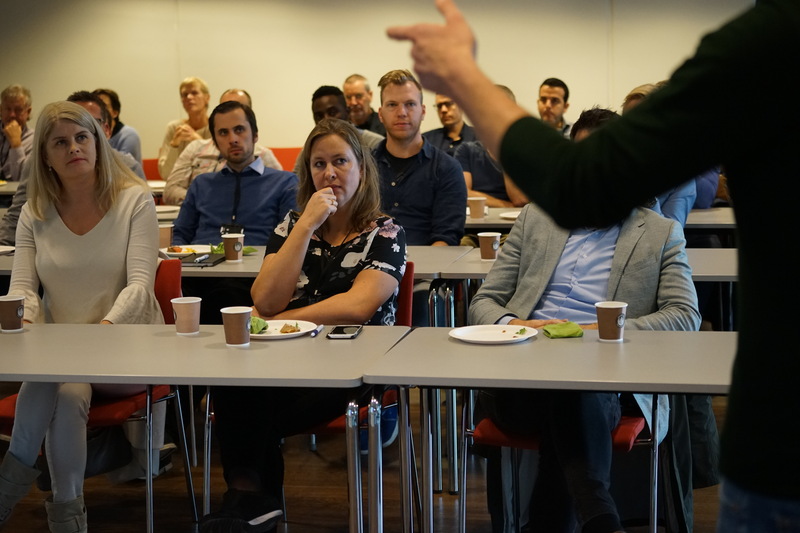 The goal is to get startups to accelerate, test their ideas or products in the market, give them support from skilled mentors so they finally can do their pitches of product and business model in front of a jury and other investors at the competition day. -Our mission is to give early-stage startups the tools, ecosystem, support and pitch confidence to boost their business into a reality, says Sannes. But this is not just a goal for the future. It´s also a fact. With four ITSA-programs under the belt, the ITSA-team can show success. The numbers tell us that 85% of the startup companies that have participate in the program during these years, are alive and still kicking. 30 % has investments, products and a market. Validé has invested in 12 of the totally 38 companies and the pre seed fund, Validé Invest, has also done one investment in an ITSA-company. -I´m very proud of Eco-Fiber that have reach this far already, says Gry Isabel Sannes. -We will follow three specific verticals this time when we chose participants; energy, health and passion. We will use the competence in Validé, our partners and our network to build new companies in these three sectors. Energy is oil and gas, of course, but also renewable energy solutions. Health is a growing business in Norway and world wide. In the Validé family we are hosting a cluster of 115 companies and 45 municipalities that work with welfare technology. That will be useful network and fresh and daily life business experience that the freshmen can use. The vertical that we are most passion about our self is what we have called passion, says Sannes. It´s all about to follow you dreams, give it a team and make it happened. -Our experience is that without passion, it´s hard to be a stayer in this tough business world. Or to put it the other way; people who have passion, can do almost anything, says Sean Paul Shanor. -We are looking for people and teams with the passion and will to succeed, ready to test and pivot their business model until it has a market fitt and is ready to realise the market potential, says Sannes. ITSA is also giving attention to the UN sustainability goals. -We want our companies to be aware of global issues and be responsable. ITSA is in line with six of UN´s goals like «Good health and wellbeing (nr 3), gender equality (nr 5) clean energy (nr 7) industry, innovation and infrastructure, (nr 9) responsable consumption and production (nr 12) and partnership for the goals (nr 17). A nice presentation it´s just a nice presentation. The end of the 12 weeks program is a competition day with pitching, but ITSA will not use all their time to prepare the finale pitch. -We will start with the startup fundamentals; who, what and specifically the big and important «why». It´s necessary to have a strong reason before you create. Many startups is so focused on what they want to create that they forget the why, says Sean Paul Shanor. Next step will be the MVP development and testing. -MVP is more complicated and necessary to look in to deeply than just go out in the street and ask people what they like or not. We will have a mentor that is an expert in this market field to help us doing great MVPs, says Shanor. And in the end the purple light will be turn on in the auditorium of Måltidets hus, and the jury, investors, mentors, supporters, friends and family will be the audience. 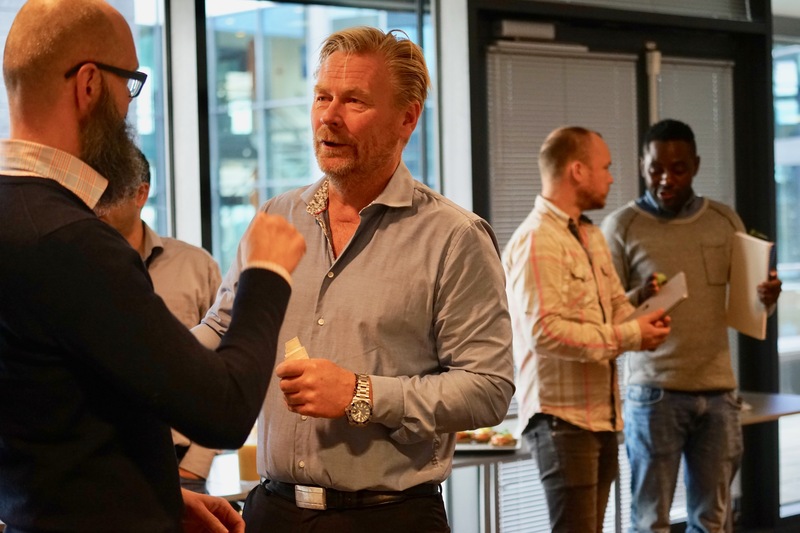 Because; ITSA it´s still a competition – and it´s still possible to win 500.000 NOK in investment from Validé, and this year more than one companies will share the prize. -We don´t want winner and losers. We want to boost potential, says Shanor.